–Mari Murdock, "A Simple Test"
By all rights, Bayushi Aramoro should be the Emerald Champion. Were it not for the betrayal of the foolish Bayushi Yojiro, Aramoro would have defeated Akodo Toturi, claimed the title and be afforded proper respect. Instead, he continues to serve as a yojimbo for Bayushi Kachiko, and rumors of an assassination attempt against the Emperor’s most trusted advisor have launched Aramoro into an investigation into the darkest corners of Otosan Uchi. Fantasy Flight Games is proud to present “A Simple Test" by Mari Murdock, a new piece of fiction set in the world of Legend of the Five Rings! “A Simple Test” focuses on the Scorpion Clan and can be downloaded here (598 KB)! Follow the journey of Bayushi Aramoro as he investigates a possible assassination attempt against Bayushi Kachiko. You can continue the Scorpion Clan’s journey in Whispers of Shadow and Steel, a new novella launching alongside Underhand of the Emperor, a Scorpion Clan Pack for Legend of the Five Rings: The Card Game on October 11. Whispers of Shadow and Steel follows Bayushi Yojiro as he investigates a mysterious murder in the City of Lies and must quickly decide where his loyalties lie. 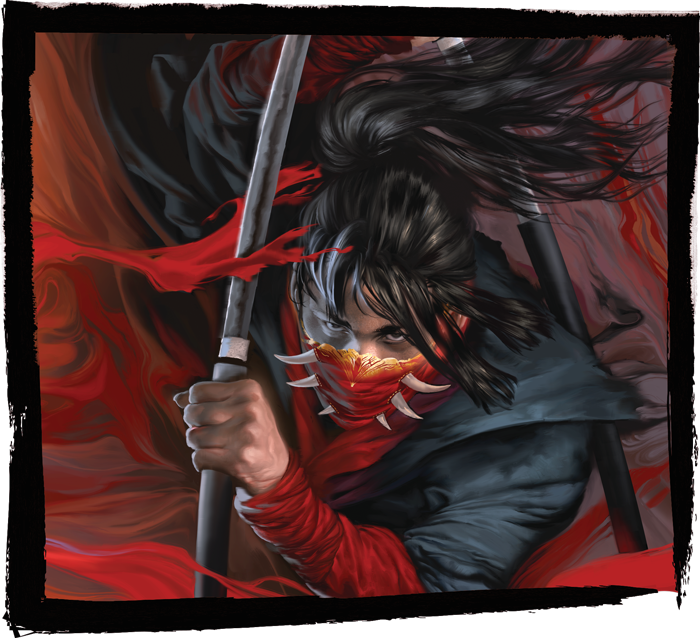 Don’t forget to keep checking the Fantasy Flight Games website for additional Legend of the Five Rings product announcements, fiction, and more. Explore the world of the Scorpion with Underhand of the Emperor (L5C15) and Whispers of Shadow and Steel (L5N02) available now for pre-order from your local retailer or our website!